You are here: Home / Email Marketing & List Building / How many people do you need on your mailing list? This is a REALLY SMART QUESTION. It gets to the heart of what email marketing is all about – lead generation, and converting leads into sales opportunities. You can work out the money spent at each stage by looking at what your final sale is worth. Kris jumped on this right away. This exchange goes right to the heart of how marketing works. Obviously the numbers above are arbitrary. 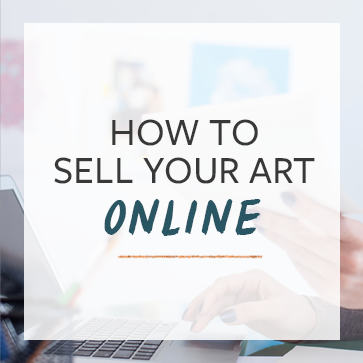 If you got your art in front of 1,000 of your ideal collectors, your leads, opportunities, and sales would all increase. What is the right percentage of people who visit my website that I should expect to join my mailing list? Typically, that percentage is less than 5%. So if you get 100 people on your website, less than 5 will join your list. That’s if you’re doing all of the right things – you have an opt-in gift, a clear value proposition for the list, and its easy to join the list. So you have to know if you have enough visitors on your website. This number is usually referred to as Unique Visitors or Unique Visits in your analytics tools. The point is that most artists simply aren’t doing enough marketing to make the numbers move. The above numbers are general numbers for most professional marketers, like me. Takeaway: if you are getting less than a few hundred visitors to your website per month, you need to work on getting more traffic. If you have significantly more traffic than a few hundred visitors per month, then you don’t need more traffic, you need to work on converting your list into sales. If you want to join next week’s email challenge, click here. In our next post, I’m going to address some of the questions that so many artists like you sent me before. The subject line will have something like, “Email Marketing: Your FAQ Answered.” Watch for it.